First there was Girt. Now comes...True Girt. In this side-splitting sequel to his best-selling history, David Hunt takes us to the Australian frontier. This was the Wild South, home to hardy pioneers, gun-slinging bushrangers, directionally challenged explorers, nervous indigenous people, Caroline Chisholm and sheep. Lots of sheep. True Girt introduces Thomas Davey, the hard-drinking Tasmanian governor who invented the Blow My Skull cocktail, and Captain Moonlite, Australia's most infamous LGBTI bushranger. Meet William Nicholson, the Melbourne hipster who gave Australia the steam-powered coffee roaster and the world the secret ballot. And say hello to Harry, the first camel used in Australian exploration, who shot dead his owner, the explorer John Horrocks. 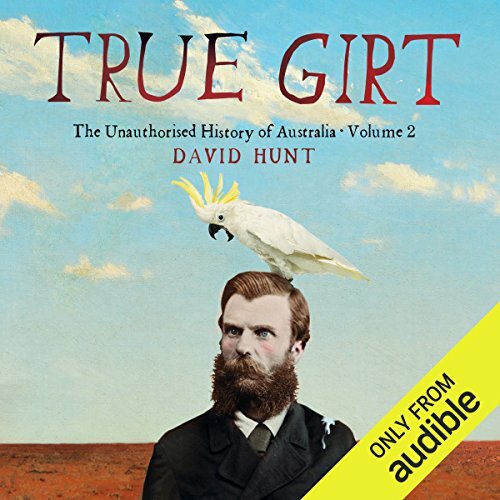 David Hunt is the author of Girt: The Unauthorised History of Australia, which won the 2014 Indie Award for nonfiction and was short-listed in both the NSW Premier's Literary Awards and Australian Book Industry Awards. David is a comedy writer, historian and children's book author. He has a birthmark that looks like Tasmania, only smaller and not as far south. The dark parts of Australia's history should be drivers towards a more equitable society. What did you like most about True Girt? 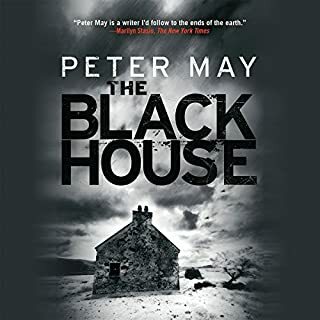 The characters, the stories, the sense of history, the humour. William Wentworth - because I got married at Vaucluse House. What about David Hunt’s performance did you like? It made me appreciate living in Australia! This irreverent audio book captures the essence of the cultures and some personalities who came together to form a great and proud country. 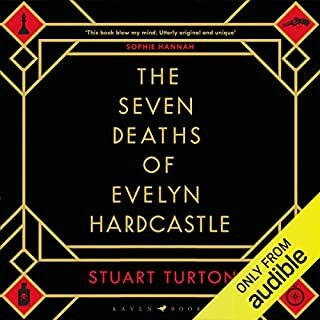 It is presented with wonderful humour from start to finish. I thoroughly recommend it. 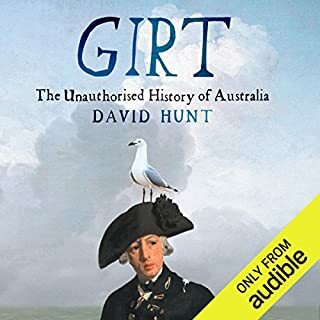 in primary and secondary school Australian History was portrayed as dull and boring... not the case with Girt volume 1 and 2. rivetting, funny and intelligent. Recommended that every Aussie read these works. Can't wait for Volume 3. If you could sum up True Girt in three words, what would they be? I have listened to this twice now . Funny, irreverent, insightful, bitchy. 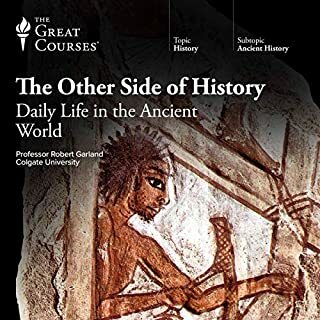 There is so much that is right about this book, it shows where every other history book has gone wrong. 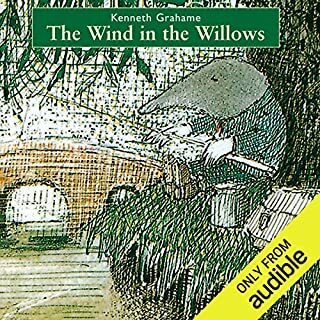 **Caution** Do not listen to this book whilst operating heavy machine, running, driving or lifting weights at the gym. 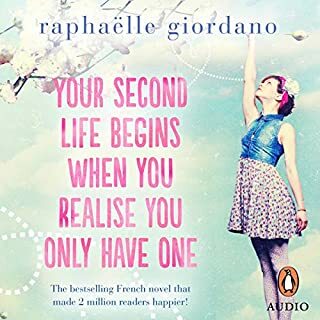 Falling over laughing as much as you do listening to this book can lead to harm or injury.... seriously, it's that funny! A very interesting and detailed history of Australia. The reader knows exactly how to get the humour of the story across and does it very well. 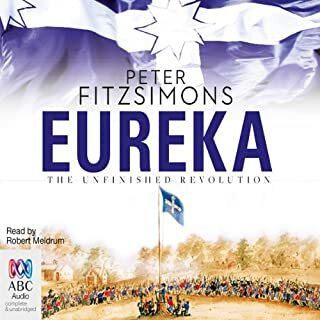 Stories are great and taught me a lot about Australian history and how the country got to where it is today. 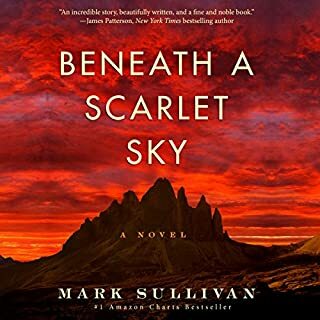 I laughed the way through, shook my head at the actions of my forebears, and found myself with tears in my eyes at the end. Thanks, Hunt. You've taught me me about aussie history than high school ever did. Warts and all. The way it should. Best Australian History Series Ever! After years of waiting, the stunning sequel to the book "Girt" - named "True Girt" - has hit the bookshelves and Audible. 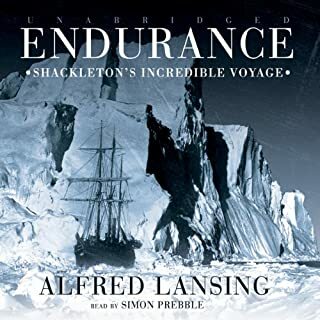 This book is written and narrated by the larrikin David Hunt - whose writing & narration is hilarious, off-beat, inappropriate, witty and eloquent (usually all at the same time). 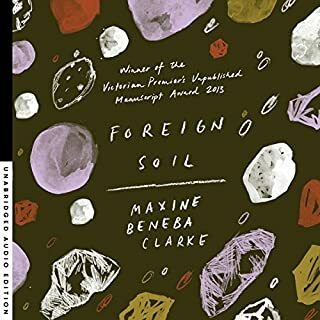 As an Australian expatriate, this book makes me think of home. The book exudes Australian culture. 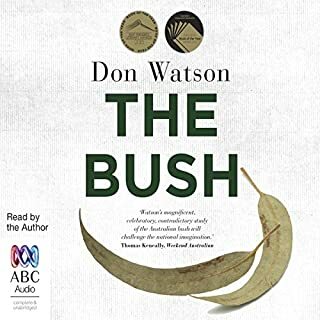 If I had to recommend a book to someone who wants to get to know Australian culture, language, humour and history - I would tell them to get this book (+ Girt). 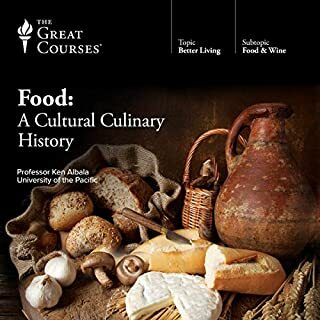 I hope that one day this will become necessary reading in Australian classrooms as I am sure it will eventually become a significant piece of our cultural history. This is more than a funny romp through Australian history. It is comprehensive; it tells the stories of folk from a wide variety of backgrounds, the sad trials and tribulations experienced by the native Aboriginals, who emigrated to the great southern land and why, how cities and towns developed, discusses religious development and even makes an honourable mention of our little cousin to the the east (New Zealand) --- + much much more! 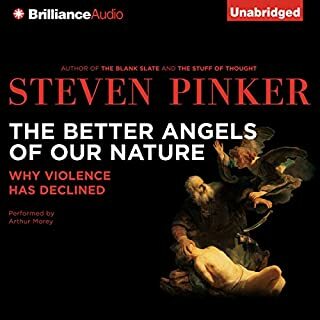 This is not a work of apologetics for western civilisation - in fact it exposes the great follies of the Mother Country. Ultimately, this is a book that honours all Australians from all walks of life. My only concern is that this book is just so Australian, that a non-Australian may not get all the references & lingo immediately - so they should be prepared to take advantage of Google search! In all, highly recommended. Best book series on Australian history on the market ever. Looking forward to part 3!! If you want to understand Australia and Australians, you can't do better than this. 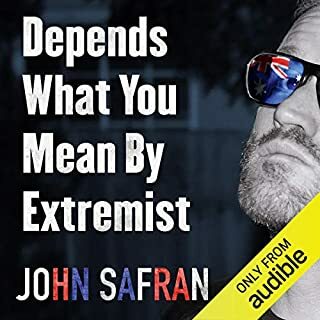 I think it is best as an audio book because the author gives it real Aussie character. 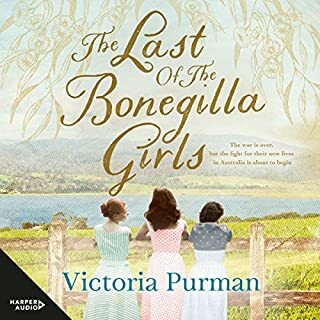 The author does a great job at livening up history with tongue and cheek humor while also capturing the desperation of the aborigines, and the poor migrants. 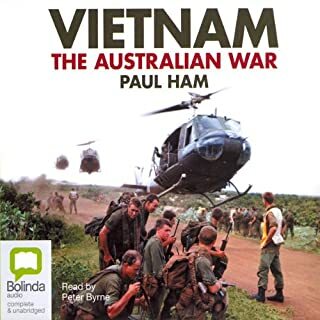 My admiration of Australia as a place who's inhabitants succeeded in the face of strange, far flung events and an often oppressive British government that was far from the goings on of the colony, much like America, has been reinvigorated by Mr. Hunt's writings. Did you know Lord Lamington (of Lamington cake infamy) shot a koala while going to open a national park? 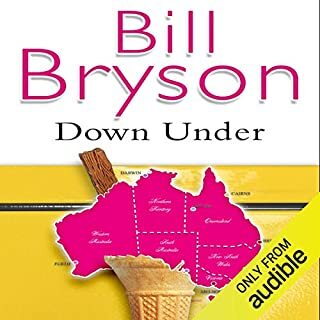 Lots of funny anecdotes of Australian history - as well as serious analysis of the formation of modern Australia. 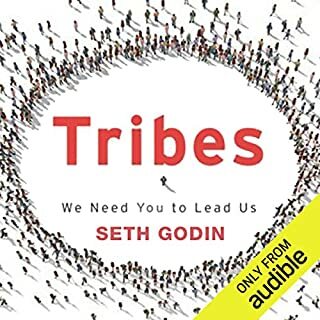 Fantastic listen enjoyed the humor and the reality of how the aboriginals were treated. The British we're kinda dicks! Continuing Australian history(since white settlement) , written in the same style as the other book & also very witty. However, in this is included a chilling account of the agonizing demise of the Aboriginal population of Tasmania. This is an Australian history topic completely ignored in our school curriculum of the 1950's & 60's. I highly recommend these two books.